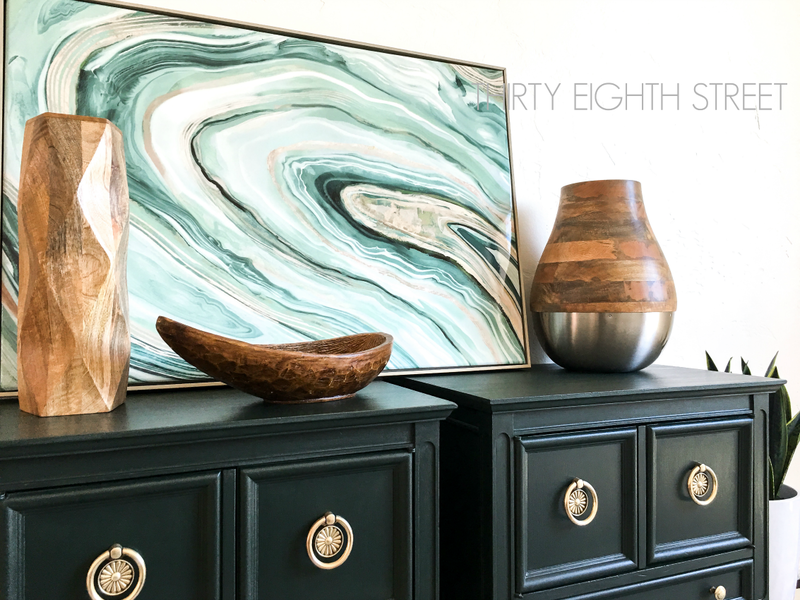 Pure & Original offers a beautiful color palette & high-quality paint products to help DIY-ers achieve a high-end finish to projects and their home. 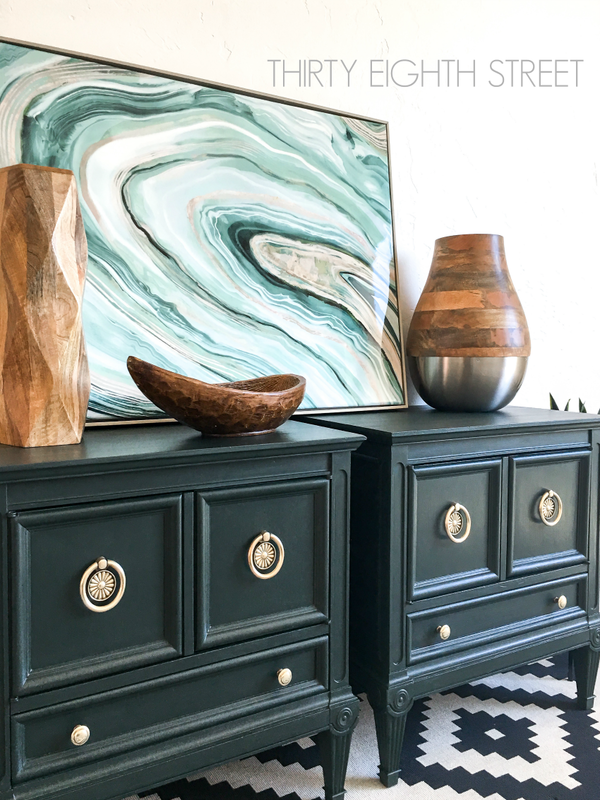 I'm convinced that you'll be blown away by their paint color choices-including a few new ones that they have recently added! 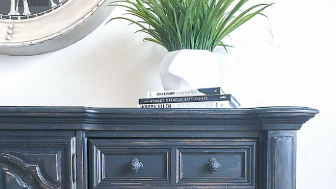 Today, we're sharing a pretty furniture makeover using Pure and Original in Black Hills Classico Paint. I love the color green! In fact, I painted this repurposed hutch, a vintage highboy dresser and the upholstery on this settee using green paint. 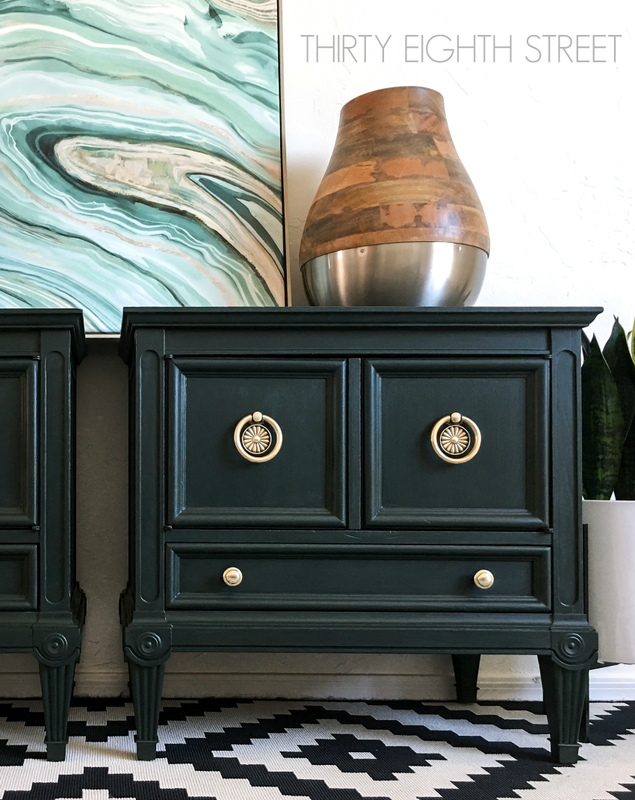 But, this is the first time that I've used such a rich green hue on furniture and I absolutely love it! Disclaimer: This post contains affiliate links to products I love and use every day. 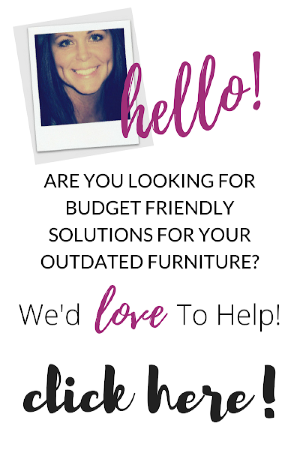 Pure & Original sponsored this post, but even if they hadn't I would still use their products on my furniture because I love them THAT much! You can view our full disclosure here. 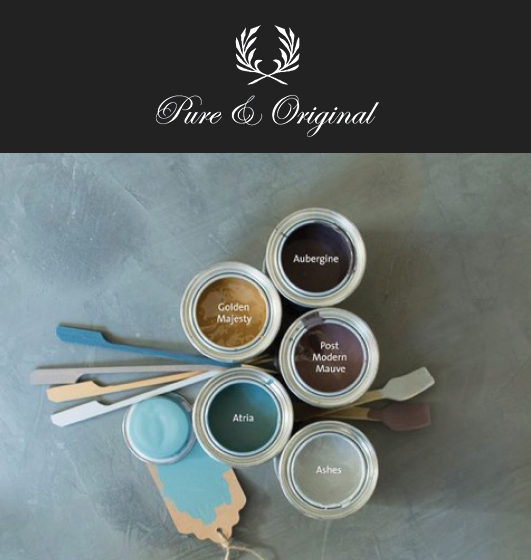 Pure & Original is a Dutch paint brand that uses a mineral base and 100% natural pigments to create their paints. They recently launched their Inspiration Collection for 2017 and it's really worth taking a look at! You'll find an entire series of inspirational hues and projects in bold and vibrant colors. Comment below and let me know which color is your favorite! One of the colors from their 2017 Inspiration Collection is called Black Hills. I would describe it as an intense and warm green hue reminiscent of a patch of lovely Evergreen trees. P&O classico paint gives both a beautiful pigmented color and full coverage. 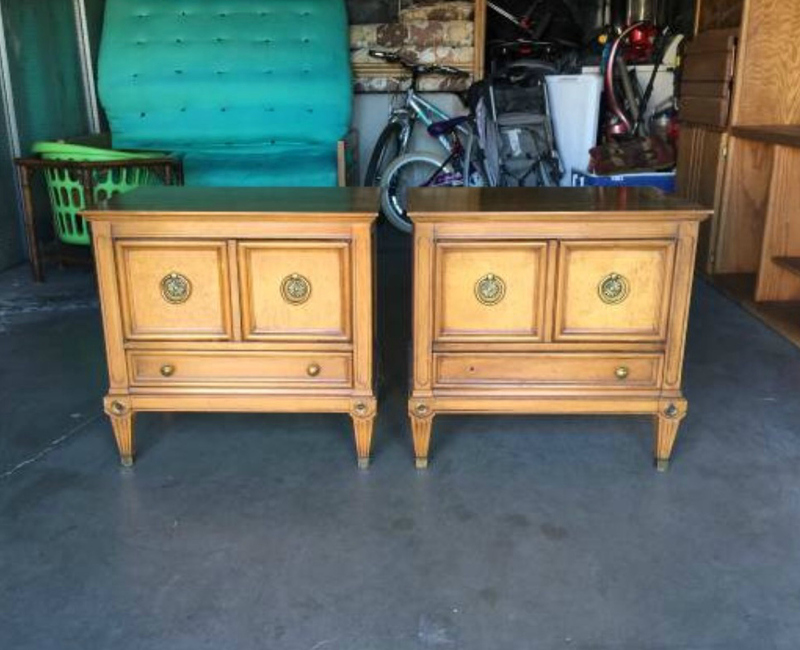 I found this stately pair of nightstands advertised on our local garage sale site. 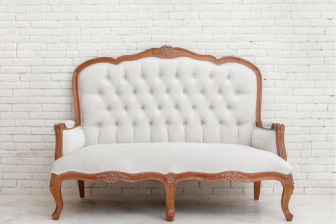 You can find amazing second hand furniture bargains on online garage sale sites as well as in these other great places! 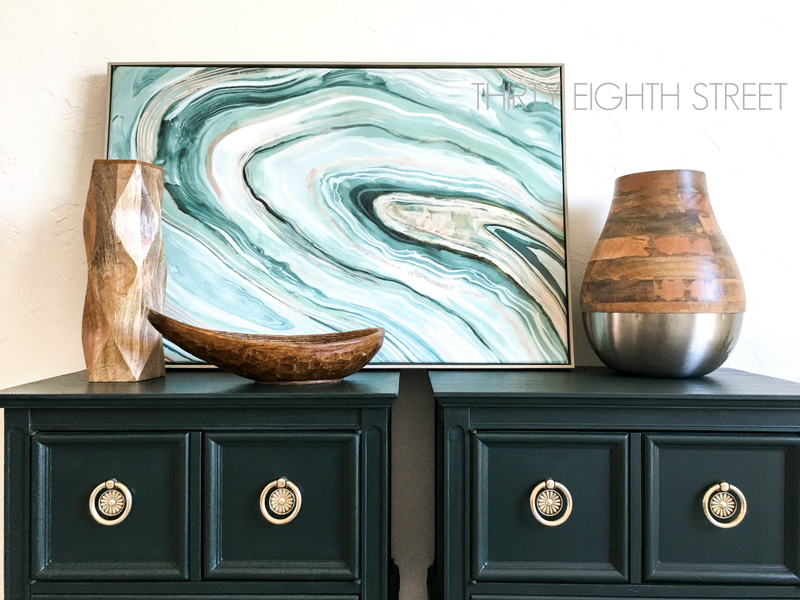 These pieces had wonderful lines and beautiful details, but I think my very favorite part about the nightstands are their circular brass pulls! Unfortunately, they sort of blended into the background since they were paired with an orangish-wood stained finish. 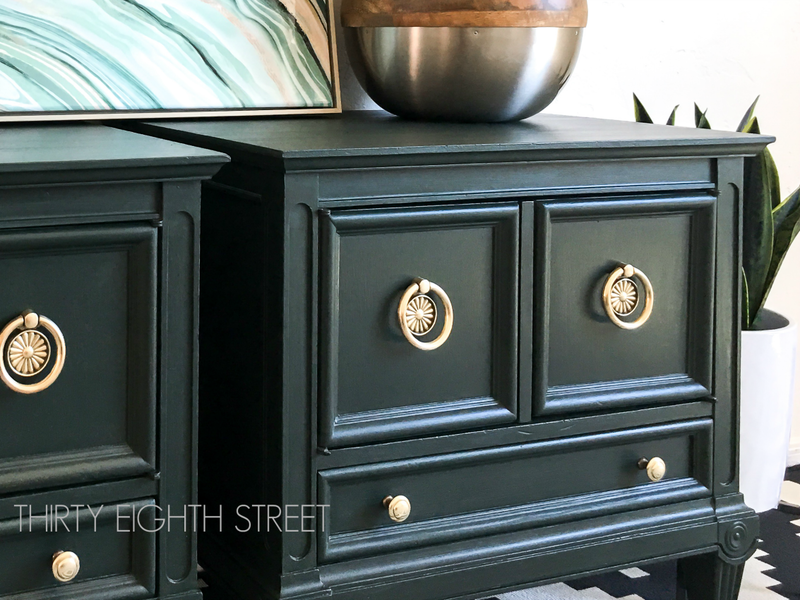 Painting the end tables in Pure & Original's beautiful Black Hills classico paint and refreshing the hardware with our quick two-step method really brightened them up and turned them into some pretty little statement pieces! Here are a few snapshots of this refinished furniture makeover. 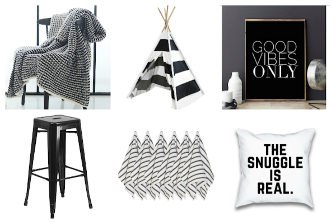 We're calling this project The Finch Side Tables. 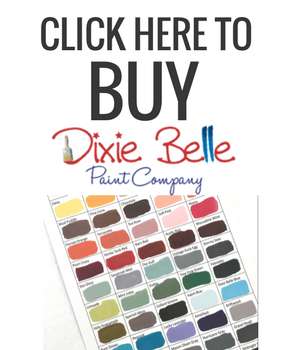 CLICK HERE To See The Full Color Pallete For Pure & Original's Paint Colors! 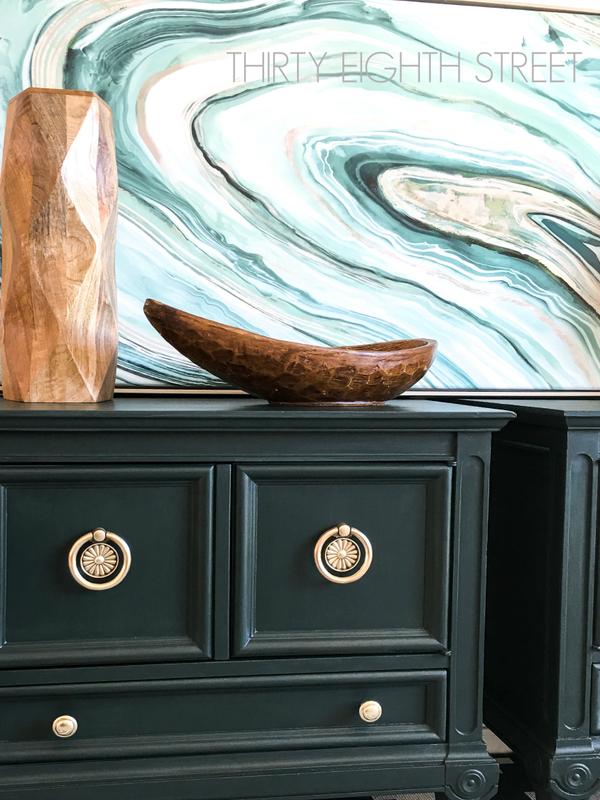 If you enjoyed this gorgeous paint color, you're going to LOVE the rest of their paint color palette! 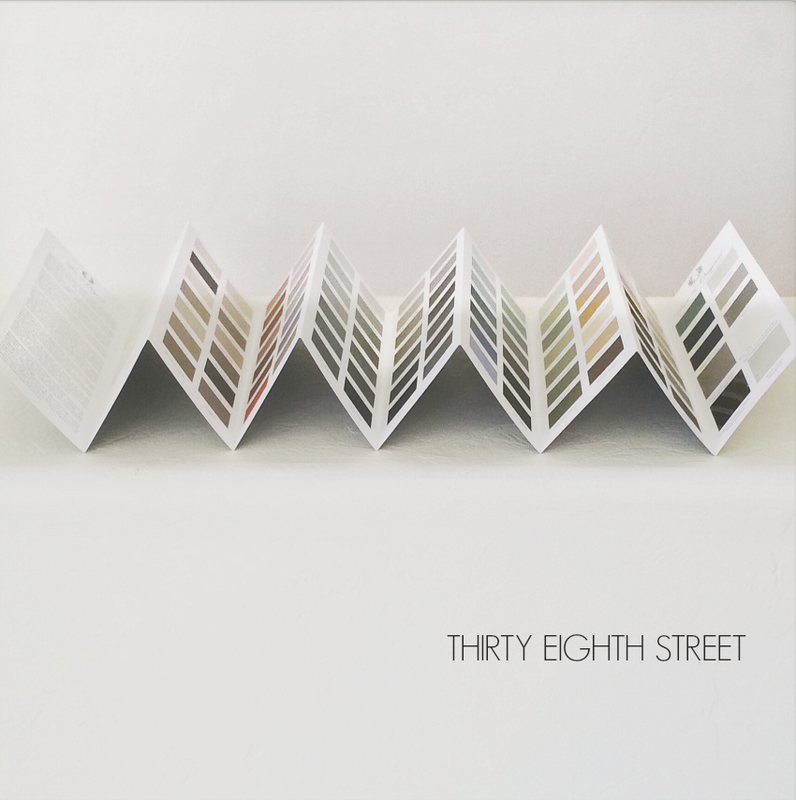 Leave me a comment and let me know which Pure & Original paint color is YOUR favorite!? I LOVE the color - it is so rich! And the pulls truly pop now that it is refinished. I've never heard of the paint but will definitely check it out! Thank you, Kristen! The color is gorgeous! 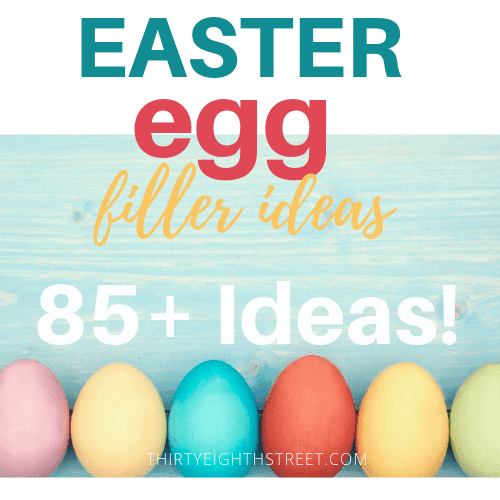 I saw it used on kitchen cabinets and it was a show stopper! Thank you, Jessica! Glad you liked it! This is just stunning! Love how deep the colour is. And that artwork you have with it is just wonderful. Pinned this to come back to later! Black Hills is an amazing color! Thank you for stopping by! That green is sublime! And absolutely beautiful staging, as always! Thank you, Colleen! I'm digging the green too! You have done a BEAUTIFUL job!!! And that painting - I'm mesmerized by its beauty!! It's quickly becoming a new favorite. :) Thank you, Annie! Oh wow, Carrie these are just gorgeous! The original hardware looks amazing paired with the dark black paint color. Thank you, Marie! I'm glad you think so too! This is a stunning pieces. I love the color with the gold hardware. Thank you for sharing at Dishing it and Digging it link party. You are being featured this coming sunday at our new link party. Thank you again. Thank you, Vanessa! I'm honored! These two turned out amazing. The original hardware is perfect with the Black Hills paint. Thank you for sharing at the Snickerdoodle Create~Bake~Make link party! I love the brass with Black Hills too! Such a pretty color! Thanks, Sharon! This product is new to me. The finish really does look professional and high-end. It's so smooth and rich. Thanks for the information. It is! I'm so impressed! 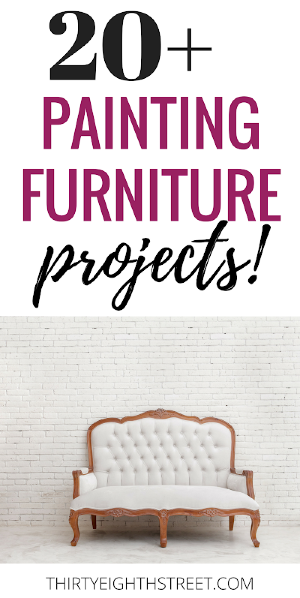 I've tried several furniture paint brands and this one is one of my top 3 favorites! Wow, what a transformation. The pulls are gorgeous and they just disappeared before. I had furniture from my mother in law that my husband would NOT let me paint and I know, I would have loved it, if he had allowed me to paint. He belonged to the, "We don't paint wood crowd..." which I understand, but these pieces prove that sometimes paint is BETTER. So glad you enjoyed the makeover! 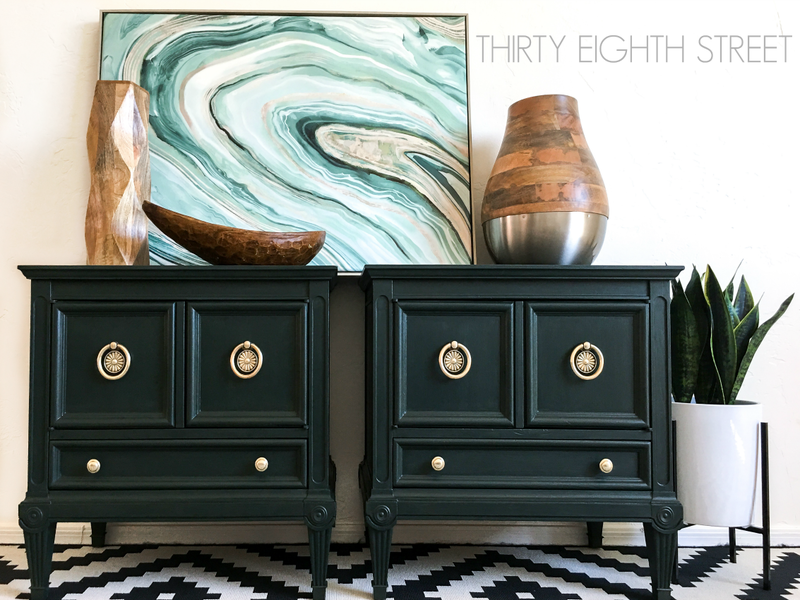 What a beautiful furniture makeover with such a bold and fun color! That turquoise painting really makes it pop. Gorgeous job! Thank you so much for sharing with us at Dishing It & Digging It & congratulations on being featured this week! Thank you for sharing our nightstand makeover project, Angie! Carrie, I absolutely love these!!! They are beautiful! Aren't these fun!? I went on a limb with the color, but I'm sure glad that I did! Thanks, Jennifer!